Today we have a important and informative guest post by Donna Rogers who wants to share her knowledge about thyroid problems. Thyroid dysfunction is a relatively common problem that affects more than 200 million people worldwide. Its symptoms are caused by either the under-or over-function of the thyroid gland. There are several types of thyroid disorders stemming from thyroid dysfunction, each with its distinct characteristics and symptoms which if left untreated could be fatal. It is, therefore, necessary to not only comprehend what thyroid dysfunction is, but to also know what causes this disorder. The thyroid is an endocrinal butterfly-shaped gland located right beneath the Adam’s apple and is wrapped around the windpipe. There is a thin area of tissue situated in the middle of the gland, known as the isthmus, which connects the two thyroid lobes on either side. Though barely tipping the scales at only 0.7 ounces and measuring at only 2 inches wide, the thyroid plays one of the most critical roles in our bodies; it secretes hormones necessary for metabolism. Metabolism is the process of transforming food into fuel that is needed in our cells for survival. Therefore, the thyroid influences the functions of the body’s most essential organs, including the brain, heart, skin, kidneys, and liver. Making sure that this gland is healthy and operating optimally is exceptionally crucial to our well-being. Simply put, think of the thyroid as a motor that dictates the pace at which your body functions. A motor generates the required amount of force for a machine to operate at a certain rate. Similarly, the thyroid creates just enough thyroid hormones to enable your cells to execute certain tasks at a specific rate. The thyroid requires iodine to create its hormones. Iodine comes from our diet and is mainly found in seafood and iodized table salt. After extracting iodine from your blood, the thyroid utilizes it to produce the two types of thyroid hormone; triiodothyronine (T3), which has three iodine atoms, and thyroxine (T4), because it has four atoms of iodine. T3 can also be derived from T4 by the elimination of a single atom. This kind of conversion mainly occurs in tissues and organs where T3 is needed the most, such as the brain, kidneys, and liver. After thyroxine and T3 are produced, the thyroid stores them within its microscopic follicles. Whenever your cellular functions need the thyroid hormone, they are secreted into your blood in specified amounts that meet your cells’ metabolic requirements. The hormones attach themselves to the cells’ nuclei via special receptors. The thyroid, however, needs a trigger mechanism for it to release its hormones. It gets its commands from the pituitary gland which is also referred to as the _master gland’ because it controls all the functions of the glands that make up the endocrine system. The pituitary gland relays instructions to the thyroid detailing how much hormone is needed by utilizing a chemical that prompts the production of thyroid hormones. This compound is known as the thyroid-stimulating hormone (TSH). The TSH levels will fluctuate in your bloodstream depending on the amount of thyroid hormone required by your system. Higher TSH levels imply that more thyroid hormone is required. The converse is also true. The communication between the pituitary gland and the thyroid is normally highly efficient. Typically, the thyroid will secrete just the appropriate hormone amount to keep processes running smoothly. TSH levels tend to be quite constant but will react to even the slightest of changes in T4. However, no system is foolproof. Outside factors such as damage to the thyroid, disease, or certain drugs can cause this communication to malfunction. This results in a thyroid that produces either too little or excess hormones. The former is a condition known as hypothyroidism where all your body functions slow down due to a low metabolic rate. The latter is referred to as hyperthyroidism where your body systems go into overdrive due to a highly accelerated metabolic rate. These two disorders are usually the underlying cause of almost all thyroid diseases. This happens when your thyroid can’t produce enough hormones despite increased TSH levels. This will cause your system to slow down, and you might begin feeling tired, cold, and depressed. You might also add weight in spite of eating less. There are various reasons to why your thyroid could be underperforming. It could be that you are not consuming enough iodine thus the thyroid cannot create enough hormones, but it will continue responding to the elevated TSH levels anyways. This overworking might cause the gland to swell and develop into a goiter. Nowadays, goiter is less common due to foods being fortified with iodine. In some instances, an autoimmune disease might afflict you causing the immune system to attack the thyroid. A condition such as Hashimoto’s thyroiditis causes your antibodies to perceive your thyroid as an invader. These constant attacks on the thyroid may leave it scarred, inflamed, and ultimately broken down. On other occasions, your thyroid may keep secreting thyroid hormone even after the pituitary gland halts TSH production. Oblivious to this signal from the master gland, the thyroid will keep churning hormones until there is an excess. This oversupply of thyroid hormone overexerts your metabolism, and every single process in your body becomes accelerated. Hyperthyroidism is characterized by a racing pulse, irritability, high body temperatures, and insomnia. Also, you will cut weight despite having a ravenous appetite in addition to experiencing anxiety and panic attacks. The most common cause for hyperthyroidism is Graves’ disease. This disorder stimulates the production of thyroid hormone by producing chemicals which mimic the TSH. 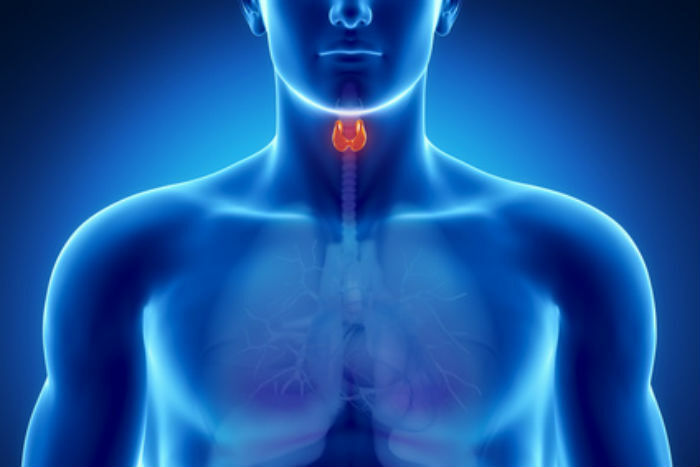 The thyroid will keep producing hormones under the impression it is receiving orders from the pituitary gland. Thyroid dysfunction is a highly treatable disorder if diagnosed early. However, you need to take precautionary measures by undertaking a thyroid test to be sure that you are safe. 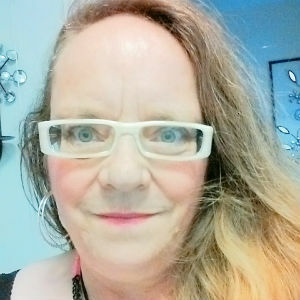 Author Bio – Donna Rogers is a blogger and health writer who has been sharing her knowledge about thyroid problems for several years now. She hopes to bring awareness about these conditions and urges both men and women to check their thyroids regularly. Why Does My Urine Smell Like Vinegar?